BP plc (ADR) (NYSE:BP) is seeking to reduce the fine of $13.7 billion it is facing for the 2010 Gulf of Mexico oil spill, arguing that it has undertaken extensive efforts to mitigate the effects of the accident. In his opening statement at the penalty phase of of the oil spill trial, BP lawyer Mike Brock argued that “there has been no collapse of the ecosystem,” contrary to earlier assessments from environmentalist groups that claimed recovery of the gulf would take decades to complete. Brock also argued that BPXP, the oil giant’s exploration and exploration unit charged as defendant in the case, has no capacity to pay a big penalty in the face of falling oil prices, which effectively devalued BPXP to $5.1 billion, 60 percent down from $16 billion a few months ago. Judge Carl C. Barbier of the New Orleans Federal District Court issued a ruling last week holding BP plc (ADR) (NYSE:BP) responsible for 3.19 million barrels of the oil spill. Government prosecutors initially calculated BP’s part of the spill at 4.09 million barrels, while BP’s own calculation put the liability at 3.26 million barrels. The judge found BP to be grossly negligent with regards to the spill, but the oil firm is appealing the finding. A grossly negligent finding results in a maximum penalty of $4,300 per barrel of oil spilt. 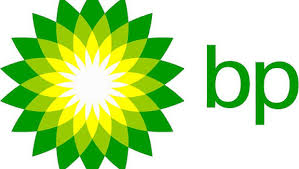 BP plc (ADR) (NYSE:BP) has already spent about $43 billion in charges related to the Gulf oil spill. Of that amount, $28 billion covered clean-up costs and damage claims. The oil firm is also at odds with lawyers for plaintiffs regarding private business and economic claims that could amount to as much as $10 billion in additional costs. The company also committed to a payout of $1 billion in favor of the NRDA (National Damage Resource Assessment), although estimates puts the bill from NRDA to range from $5 billion to $20 billion, according to Businessweek. Under the government’s estimates, BP plc (ADR) (NYSE:BP) should have been fined by as much as $18 billion. Judge Barbier noted in his ruling on Thursday last week that both sides of the case presented evidences that were highly technical, voluminous, and conflicting, and that “there is no way to know with precision how much oil discharged into the Gulf of Mexico.” Tulane University Law School professor Edward F. Sherman, who watched the BP oil spill case closely, found Judge Barbier’s handling of the “conflicts of experts” as intelligent, according to The New York Times.